One of the early lessons that all Burkean scholars must learn is that “everything is more complicated than it seems” (Rueckert, 1982, p. 267). As a society we seek out user-friendly interfaces that enable us to interact with a variety of tools and ideas, but often forget to look beneath the surface. This essay asks readers to look beneath the surface, to explore the depths of the pentad so that the complications of what Burke created are not lost by our focus on act, scene, agent, agency, and purpose (i.e. the interface). This essay identifies how the pentad first began to take shape through Burke’s definition of form as “the creation of an appetite in the mind of the auditor, and the adequate satisfying of that appetite” (1968, p. 31), and traces Burke’s discussions of both form and the pentad to help readers to unravel the complications beneath the surface of the pentad. Whether or not Burke’s prophecy became reality, it is clear that Burke’s work on the five terms was taking form even before its first mention appeared in print in his book Philosophy of Literary Form (1941), and long before it debuted as “the pentad” in A Grammar of Motives (1969a). This focus appears to have continued throughout the remainder of his career; as Rueckert (1982) contends, “if there is a single overriding lesson to learn from Burke, it is that everything implies everything else, and everything is more complicated than it seems” (p. 267). In reviewing the writings of secondary sources, and exploring the ways in which the pentad has been put to use by others, it becomes apparent that the pentad is much more complicated than it seems.1 The following essay will demonstrate how Burke’s definition of form (1968, p. 31) anticipates his introduction of the pentad, and more specifically his internal use of the pentad, as developed in A Grammar of Motives. Accomplishing this task will require an exploration of Burke’s definition of form, his references to the five elements of the pentad throughout the “Boikwoiks,” and his continued development and explications of the pentad through his works on dramatism, logology, and rhetoric. Rueckert suggests that the overarching themes and approaches developed by Burke began to take shape as early as the 1930s, though “most of what is essentially Burkean is present somewhere in A Grammar of Motives, A Rhetoric of Motives, and the uncollected parts of ‘A Symbolic of Motives,’ the three works that formulate and develop dramatism as a system” (Rueckert, p. 243). These ideas were continually revisited and redefined throughout the Burkean opus (“Boikwoiks”). In an essay on the pentad, Burke sets out “an account of how one thing led to another. It starts with the theory of form as the arousing and fulfilling of expectation” (1978b, p. 331). Burke argues that his “job” was to develop a method that could be used to help critics frame questions that would help them uncover the motives and assumptions implicit within a text (Burke, 1978b, 332). the poignancy of the rhetorical situation attains its fullness in spontaneously arising identification whereby, even without deliberative intent upon the part of anyone, we fail to draw the lines at the right places. In effect the situation is thus as though there were two salads, side by side. They look alike, and we might call them both by the same name, though unbeknownst to us one happens to be wholesome, the other contaminated. The rhetorical situation, as I see it, comes to a head in faulty identifications of this sort (Burke, 1973b, p. 271). Our failure to properly draw the lines is the result of the inherent ambiguity of language. By invoking what Burke refers to as “ritual drama” (1973a, p. 103), and others have referred to as archetypal metaphor (Fisher, 1984), a rhetor asks her audience to become consubstantial in order to collectively participate in an experience. Fisher believes that even if we were able to access the truth, archetypal metaphors are the only resources that we have that allow us to share our knowledge with others. Archetypal metaphors provide us with a way of communicating with others, and understanding one another’s thoughts and actions. Burke suggests metaphors allow us to make the connections that our rational language cannot allow us to make; connections that we see only in our dreams (1984, p. 90). Metaphors help us to see “the thisness of that, and the thatness of this” (Burke, 1969a, p. 503), in the way that our subconscious minds see them but our rational minds have tried to filter out. Burke suggests, in A Grammar of Motives, that we substitute the term “perspective” for metaphor, because, he argues, metaphor is simply a way of making connections between two previously unrelated things. Metaphor helps us to create a common language for and way of thinking about an object, emotion, or situation; it helps others to understand how one person perceived the world around her at a particular time by making implicit connections to experiences that each has had in common. Burke tells us that communication requires a certain degree of ambiguity because no two events, ideas, things, or acts are identical (1969a, p. xix). “To tell what a thing is, you place it in terms of something else…we should consider each thing in terms of its total context, the universal scene as a whole…to define a thing in terms of its context, we must define it in terms of what it is not” (Burke, 1969a, p. 24-25). Because of this paradox of substance, we look to the interrelationship among the five terms of the pentad in order to explore the arguments implicit to the transformation of one thing to another (Burke, 1969a, p. xix). Among the basic propositions Burke makes regarding Dramatism, he argues there is, conceivably, a formal structure (principle) intrinsic to all communication, and this structure accounts for the collapsing of the division between the realms of the symbolic and the non-symbolic into the logological reduction that enables us to understand that a symbol is a symbol even before we consciously recognize its potential meaning. “In keeping with his specific nature as the symbol-using animal, he necessarily sees the non-symbolic realm (of motion) in terms of the symbolic mediums through which he contemplates the nonsymbolic realm and thereby in effect translates it” (Burke, 1973b, p. 263). Further, Burke proposes we “take ritual drama as the Ur-form, the ‘hub,’ with all other aspects of human action treated as spokes radiating from the hub” (1973a, p. 103). This hub becomes the point of translation that makes individual human action and motivation consubstantial with the actions and motivations of others. “The social sphere is considered in terms of situations and acts… [and] ritual drama is considered as the culminating form” (1973a, p. 103). When a writer describes an event in her life as a “quest for the truth”, her reader is able to anticipate a story in which the writer will describe the obstacles she had to overcome in order to reach her reward. Insomuch as the story conforms to the reader’s expectations, the drama is form. Through the cathartic act of writing her book, the writer seeks to justify (for both herself and others) her actions in terms of a specific situation, the quest for knowledge. The ritual drama that she creates by the invocation of the quest narrative ultimately serves to make writer and reader(s) consubstantial. Accepting ritual drama as the hub of human action, Burke turns to work out his first statement of what will become, in A Grammar of Motives, the pentad. Burke insists, if we extend our scope on the ritual drama beyond the connection between the situation-act pair to include act, scene, agent, agency, and purpose, we may move a step closer to uncovering human motivation (1973a, 106). These five terms, with a treatment of the purely internal or syntactic relationships prevailing among them, are I think particularly handy for extending the discussion of motivation so as to locate the strategies in metaphysical and theological systems…Hence, one will watch, above all, every reference that bears upon expectancy and foreshadowing, in particular every overt reference to any kind of ‘calling’ or ‘compulsion’ (i.e. active or passive concept of motive). And one will note particularly the situational or scenic material (the ‘properties’) in which such references are contexts; for in this way he will find the astrological relationships prevailing between plot and the background, hence being able to treat scenic material as representative of psychic material” (Burke, 1973a, p. 106: footnote). In other words, Burke argues the scene or context in which an act takes place may provide us with clues regarding the motivations of the author or those motivations that the author wishes to identify with a particular character with in the ritual drama. Burke’s connection of drama and dialectic further suss out for us the connection between form and the pentad. Burke states, “Plato’s dialectic was appropriately written in the mode of ritual drama” because at the heart of dialectic is a concern for “the ‘cooperative competition’ of the ‘parliamentary’” (1973a, p. 107). According to Burke, the greatest mistake that a political leader can make is to silence the opposition and thereby remove cooperative competition. In so doing the leader locks himself into a description of reality which, when it fails to accurately reflect reality, is more easily refuted by the opposition. “Men seek for vocabularies that will be faithful reflections of reality. To this end, they must develop vocabularies that are selections of reality. And any selection of reality must, in certain circumstances, function as a deflection of reality” (Burke, 1969a, p. 59). Through this argument Burke suggests that it is our collective and competitive collaboration that enables form to be developed. Our desire to create a faithful reflection of reality drives us to select metaphors and ritual dramas, from our bank of options that we share in common with other members of our society or culture, that will create and satisfy our appetites. Through this reflective selection we are able to whet the appetite by the selection of a metaphoric scene, act, agent, agency, or purpose; through identification and with the collaboration of the audience via the dialectic we are able to satisfy that appetite in a way that is not possible without the dialectic. Collaboration also allows us to maintain a degree of ambiguity sufficient for the development of form. “The hypertrophy of the psychology of information is accompanied by the corresponding atrophy of the psychology of form” (Burke, 1968, p. 33). Increased information leads to a lack of form because there is no longer a need to crave when you know that you will be fed, and “the drama, more than any other form, must never lose sight of its audience: here the failure to satisfy the proper requirements [including a need for ambiguity] is most disastrous” (Burke, 1968, p. 37). Form requires the use of style in a way that implicitly encourages ambiguity. The pentadic ratios act as a type of synecdoche: “by the logic of the scene-agent ratio, if the scene is supernatural in quality, the agent contained by this scene will partake of the same supernatural quality” (Burke, 1969a, p. 8). Burke explains how the circumference of the scene can expand or contract in order to meet the needs of an argument. “The main point is that any change in circumference in terms of which an act is viewed implies a corresponding change in the quality of the act’s motivation. Such a loose yet compelling correspondence between act and scene is called a ‘scene-act ratio’” (Burke, 1967, p. 332-333). By substituting a part (such as the assumption of a supernatural scene) for the whole we allow a necessary degree of ambiguity to flourish. “There is implicit in the quality of a scene the quality of the action that is to take place within it. This would be another way of saying that the act will be consistent with the scene” (Burke, 1969a, p. 6) just as “the contents of a divine container will synecdochically share in its divinity” (Burke, 1969a, p. 8). By describing the scene as supernatural, we transform the remaining elements described by the pentad in ways that transcend their individual uniqueness (Burke, 1970, p. 9). A “summarizing word is functionally a ‘god-term.’ …Is there not a sense in which the summarizing term, the over-all name or title, could be said to ‘transcend’ the many details subsumed under that head, somewhat as ‘spirit’ is said to ‘transcend matter’” (Burke, 1970, p. 3) and therefore introduces the ambiguity necessary to sustain form. Likewise, “if we arouse in someone an attitude of sympathy towards something, we may be starting him on the road towards overtly sympathetic action with regard to it” (Burke, 1969a, p. 236) because we have substituted a partial response which may then consume our other responses. Burke describes a hero as a man whose actions are heroic, “his ‘heroism’ resides in his act” (1969a, p. 42). The implicit connection is made explicit in the ratio: actor is to act as implicit is to explicit (Burke, 1969a, p. 7). At the same time, we may associate the term hero with a particular profession or type of actor. Here we synecdochically imbue the actor with status because of his potential agency, “heroism resides in their status” (Burke, 1969a, p. 42). In this way, we can only discuss and make claims about the status of an actor or the scene in which his acts took place by considering the various pentadic aspects involved (Burke, 1968, p. 141). “In this sense we would restore the Platonic relationship between form and matter. A form is a way of experiencing. ... The universal experience are implicated in specific modes of experience: they arise out of a relationship between the organism and its environment” (Burke, 1968, p. 143, 150). Burke suggests by making explicit the implications of the interrelationships among the various elements (i.e., act, scene, agent, agency, purpose) that define a situation, we may better understand human motivations. Therefore, the elements of the pentad “need never to be abandoned, since all statements that assign motives can be shown to arise out of them and to terminate in them” (Burke, 1969a, p. xv-xvi). Invocation of any individual element in order to describe an aspect of the human condition provides us with a means of achieving consubstantiality with another by way of a common, albeit ambiguous, understanding of the world. “The universal experience are implicated in specific modes of experience: they arise out of a relationship between the organism and its environment” (Burke, 1968, p.150). The invocation of a scene that contains a hero creates an appetite for a story in which the actor behaves (acts) heroically. We experience consubstantiality with the author of our story only in so far as she adequately satisfies our appetite by maintaining the relationship between the actor and the act that we crave. If “a form is a way of experiencing” (Burke, 1968, p. 143), then form stems from our common understanding of the relationships between organism and environment. In later discussions of the pentad and human motivation, Burke claims, consubstantiality is an essential part of human interaction. “Substance, in the old philosophies, was an act; and a way of life is an acting-together; and in acting together, men have common sensations, concepts, images, ideas, attitudes that make them consubstantial” (Burke, 1969b, p. 21). Burke’s definition of form implicitly anticipates this need for consubstantiality and the ratios of the pentad provide an explanation of the mechanism through which we become consubstantial: we are able to identify with others because we share a bank of common resources that suggest certain scenes require certain types of actors and actions, and vice-versa. The equations that Burke establishes in the ratios are possible because identification of “one part of it leads a reader to anticipate another part, to be gratified by the sequence” (1968, p. 124). Dramatism is not drama; it is the systematic use of a model designed to help us define and place the nature of human relationships and the relations among our terms of the discussions of such matters. To move from the observation that ‘a character in a play acts in character’ to a corresponding concern with an ‘agent-act ratio’ is by no means to be speaking metaphorically. There literally is some kind of consistency between a man’s character and his actions. Similarly, there literally is a ‘scene-act ratio,’ involving respects in which men’s acts are influenced, or are interpreted as being influenced, by their situations (Burke, 1978a, p. 29-30). This literal connection between the elements of the pentad, as described in the ratios, is the missing link that explains how we convert the non-symbolic into the realm of the symbolic in order to identify with others. Form becomes the appeal (Burke, 1968, p. 138) that allows us to bring substance to existence through the pentadic ratios. In his essay on “The Nature of Form”, Burke sets out the five aspects of form: progressive (further divided into qualitative and syllogistic progressions), repetitive, conventional, and minor or incidental. In particular, the connection between syllogistic progression which follows from the argument that “given certain things, certain things must follow, the premises forcing the conclusion” (Burke, 1968, p. 124), and qualitative progression which Burke suggests means that certain qualities are precursors that prepare us to accept other claims of quality made in an argument, we can see how Burke’s definition of form anticipates the pentad. These two key assumptions about form are the underlying features that allow humans to view imbue an actor within a scene with transcendent qualities stemming from the scene. This behavior is then reinforced through repetitive form as time and again we see the same situations with a new costume (Burke, 1968, p. 125). Each time we are able to recognize (consciously or subconsciously) a pentadic ratio in a new guise, we have the opportunity to challenge the association or to identify with the messenger. Identification maintains the form, while our objections work to reduce ambiguity “plus the vexing fact that each ‘solution’ raises further problems. (Confidentially, that’s ‘the dialectic.’)” (Burke, 1970, p. 275). * Gretchen K. G. Underwood is an Adjunct Instructor of Communications at Penn State Greater Allegheny. She can be contacted via email at gku1@psu.edu or by phone at 412-805-7546. 1. As an example, see Blakesley, D. (2001). The elements of Dramatism. Boston: Longman. Blakesley provides readers with several examples of the external use of the pentad. An external use is characterized as an application in which a critic reviews a text by asking “the five W questions” (who, what, where, when, and why) in order to determine what is taking place. This use is juxtaposed with an internal, or implicit use of the pentad, characterized by the application and consideration of the pentadic ratios (GM, 3) as a means of reduction to the text’s “underlying atomic constituent” (GM, xxii). Although D. Burks suggested, in personal correspondence, that Burke was always flattered by any application of his work, the latter (internal use) will be considered in this essay to be his preferred use. Burke argues his intent was for the critic to focus on the ratios among the terms rather than the terms in and of themselves (Q&A, 332) because, “whether explicitly or implicitly, the nomenclature of every text embodies ‘equations’…implicit in the idea of an act there is the idea of an agent; and for an agent to act there must be a scene” (Q&A, 334-335). Burke, K. (1967). Dramatism. In L. Thayer (ed), Communication: Concepts and perspectives. Washington, D.C.: Spartin Books. Burke, K. (1968). Counter-statement. Berkeley: University of California Press. Burke, K. (1969a). A grammar of motives. Berkeley: University of California Press. Burke, K. (1969b). A rhetoric of motives. Berkeley: University of California Press. Burke, K. (1970). The rhetoric of religion: Studies in logology. Berkeley: University of California Press. Burke, K. (1973a). Philosophy of literary form: Studies in symbolic action. Berkeley: University of California Press. Burke, K. (1973b). The rhetorical situation. In L. Thayer (ed), Communication: Ethical and moral issues. New York: Gordon and Breach Science Publishers. Burke, K. (1978a). Rhetoric, poetics, and philosophy. In D. Burks (ed), Rhetoric, philosophy, and literature: An exploration. West Lafayette, IN: Purdue University Press. Burke, K. (1978b). Questions and answers about the pentad. College Composition and Communication: 330-335. Burke, K. (1984). Permanence and change, an anatomy of purpose. Berkeley: University of California Press. Burke, K. & Cowley, M. (1989). 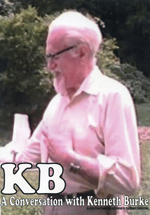 The selected correspondence of Kenneth Burke and Malcolm Cowley. Berkeley: University of California Press. Fisher, W.R. (1984). Narration as human communication paradigm: The case of public moral argument. Communication Monographs, 51, 1-22. Rueckert, W.H. (1982). Kenneth Burke and the drama of human relations. Berkley: University of California Press.